Hearing technology and their distribution methods are changing faster than at anytime in the history of amplification. Hearing aids are converging with consumer electronics with their integration of made-for-iPhone technology, while “hearables” are taking on features normally only found in hearing aids. Novel fitting methods are being developed that enhance the capabilities of hearing healthcare professionals, while other hearing devices and fitting methods are being developed to try to eliminate the professional from the distribution channel. Diagnostics and outcome measures are being developed that redefine patient needs and help better understand the benefit that new technology provides hearing aid wearers. Each of these technological and scientific advances has implications for people with hearing impairment and for those who treat them. This talk will provide a perspective on how all of these developments will shape the future of hearing technology, hearing healthcare professionals, and the lives of people with hearing impairment. Brent Edwards, Ph.D., is the Director of the National Acoustic Laboratories in Sydney, Australia. 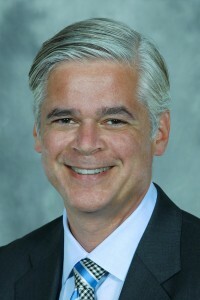 For over 22 years he has lead research and development teams at major hearing aid companies and Silicon Valley startups that have developed innovative signal processing algorithms, fitting procedures, diagnostics and outcome measures, wireless technologies, transducers and other technologies that have benefitted hearing aid wearers and dispensers worldwide. Dr. Edwards founded and developed the Starkey Hearing Research Center that is currently a leading site for research in hearing impairment and cognition. He has published extensively in peer-reviewed journals and is a frequent invited speaker at international scientific conferences. Dr. Edwards is a Fellow of the Acoustical Society of America, a Fellow of the International Collegium of Rehabilitative Audiology, and Honorary Associate Professor at the University of Nottingham’s School of Medicine. Dr Edwards received his B.S. degree in electrical engineering from Virginia Polytechnic Institute and State University, his M.S. and Ph.D. in electrical engineering and computer science from the University of Michigan and was a Postdoctoral Fellow in psychology at the University of Minnesota.